One of the current trends in shopping is doing it online. The Internet provides us a way to shop from the comfort of our homes — and we often don’t even have to worry too much about high shipping costs. However, there are some issues with shopping online, including security. One of the ways you can keep your information safe when shopping online is to use temporary credit card numbers. 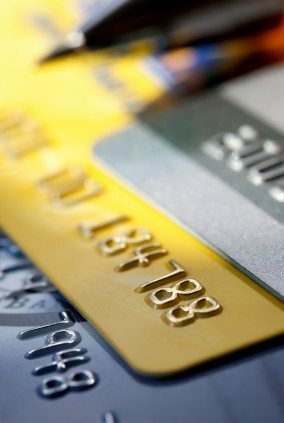 What is a Temporary Credit Card Number? Some credit card issuers, knowing that you want to improve your security when shopping online, offer the ability for you to have a temporary number generated. These numbers might good for a single purchase, or you can choose to “approve” them for a certain amount. Your temporary credit card number is attached to your regular account, so the money comes from your credit card account. However, it makes it difficult for identity thieves to steal your credit card number online. Even if the would-be thief gets a hold of the temporary number you used, it will do no good. Since you’ve already used it, or reached the total amount authorized for that number, it comes up as invalid. So, you are able to make your online purchases, but a shady character can’t use the number to run up huge bills on your account. Even though you aren’t liable for most fraudulent purchases made with your credit card, it’s still a hassle when your identity is stolen. You need identify which transactions are fraudulent, and take other steps. Using a temporary credit card online can help you avoid this hassle, since a thief never got access to your “real” account number. A temporary credit card number can also be helpful in other circumstances. In many cases, when you sign up for a “free” product or service, you are supposed to provide a credit card number. Often, you agree to sign up for an auto-renew or something else. You get your free product or service, and then you are supposed to remember to cancel. But what if you forget? You start getting charged for it. Many credit card issuers won’t charge you when you have a temporary number created. Some third party payment providers, like PayPal, will also help you generate a “credit card number” that can be used at sites that don’t accept third party payment providers. Check with your issuer to see what the policies are, and determine whether or not you can benefit from a temporary credit card number. It can protect your identity, and keep you from paying more than you wanted to.